Maruti Suzuki took the 2018 Auto Expo as a platform to launch the new-gen Swift in India. The prices for the same start at Rs 4.99 lakh for the petrol and Rs 5.99 lakh for the diesel, making it about 5 percent more premium over the previous-gen model. The changes that the new Swift gets over the previous is a new design and additional features. However, the hatch is now based on a lighter and a more efficient platform. 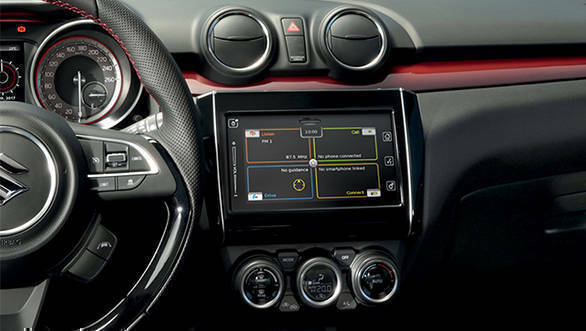 The new-gen Suzuki Swift will soon be launched in Italy. And the company has now introduced a Swift Sport BeeRacing edition exclusively for the Italian market. 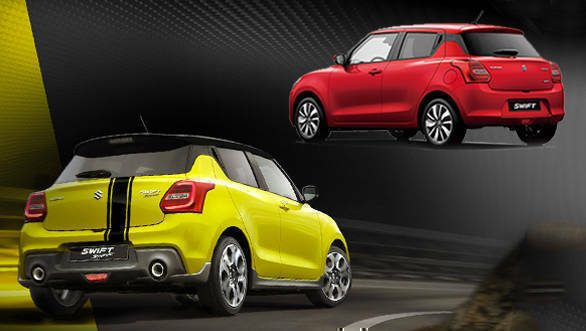 Here is a look at what makes it different from the Maruti Suzuki Swift sold in India. 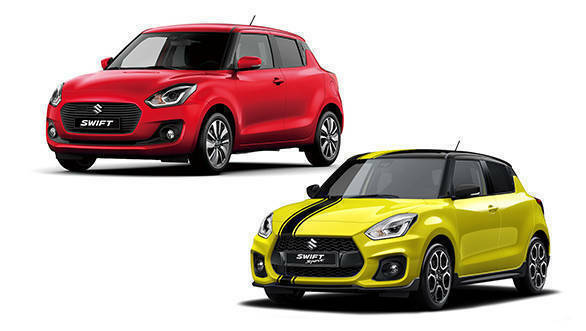 The 2018 Suzuki Swift Sport BeeRacing edition gets a dual-tone paint scheme in Champion Yellow and Dubai Black Metallic along with racing stripes. The new Swift sold in India is available in six shades, namely prime lucent orange, midnight blue, pearl metallic arctic white, fire red, silky silver and magma grey. The Swift Sport also gets a large-opening honeycomb grille front grille and an aggressively styled front bumper compared to the model sold in India. The other bits that the Swift Sport BeeRacing edition gets 17-inch alloy wheels two-tone alloys. The Maruti Suzuki Swift runs on 15-inch tyres with diamond cut alloys. Also, the BeeRacing edition comes with dual exhaust tips, semi bucket seats with integrated headrests, sporty pedals and contrasting red stitching. The main different is the powertrain that is offered on the 2018 Suzuki Swift Sport BeeRacing edition. Being essentially a Swift Sport, the hatch is powered by a 1.4L Boosterjet turbocharged petrol engine that makes 140PS and generates 230Nm of torque, mated to a 6-speed manual transmission. The hot hatch has a claimed 0 to 100kmph acceleration of 8.1s and a top speed of 210kmph. The 1.2-litre petrol unit in the India-sped model churns out 84PS/113Nm. The made for Italy 2018 Suzuki Swift Sport BeeRacing edition is available only through online bookings. Would you like the Swift Sport to launch in India, let us know in the comment section below.